Getting a flu shot is good advice for pretty much anyone. Even more so if you’re HIV positive. For patients with HIV, the Centers for Disease Control and Prevention (CDC) recommends getting the flu shot instead of the live attenuated flu vaccine or “FluMist.” The flu shot is an inactivated vaccine (containing a killed virus) that’s given with a needle. FluMist contains a weakened form of the live flu virus and is only approved for use in people ages 2 to 49 with unimpaired immune systems. Preventing the flu is important for people with HIV/AIDS due to an increased risk from serious influenza-related complications. Studies have shown an increased risk for heart and lung-related hospitalizations in people infected with HIV during influenza season, as well as a higher risk of influenza-related deaths. 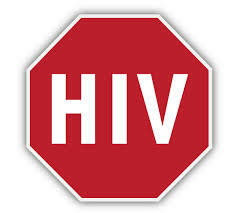 Other studies have indicated that influenza symptoms might be prolonged for certain HIV-infected people. And, no, you can’t get the flu from the vaccination. For more information about HIV and influenza, go to the CDC Website. You can find a place to get the flu shot here. You can also ask your doctor for additional options. This entry was posted in Consumer Information, Health Alerts, HIV Care. Bookmark the permalink.